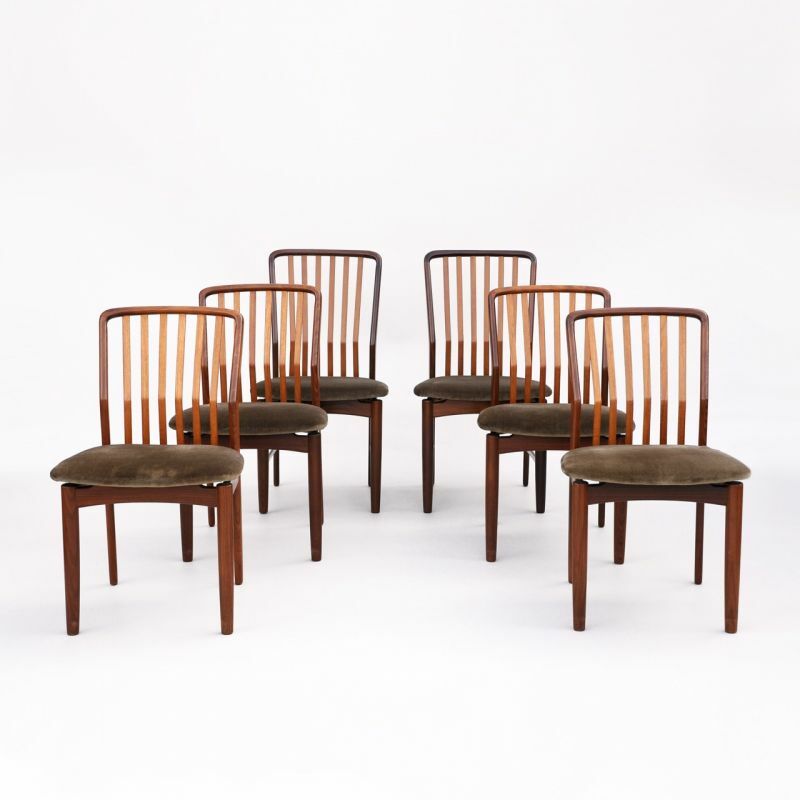 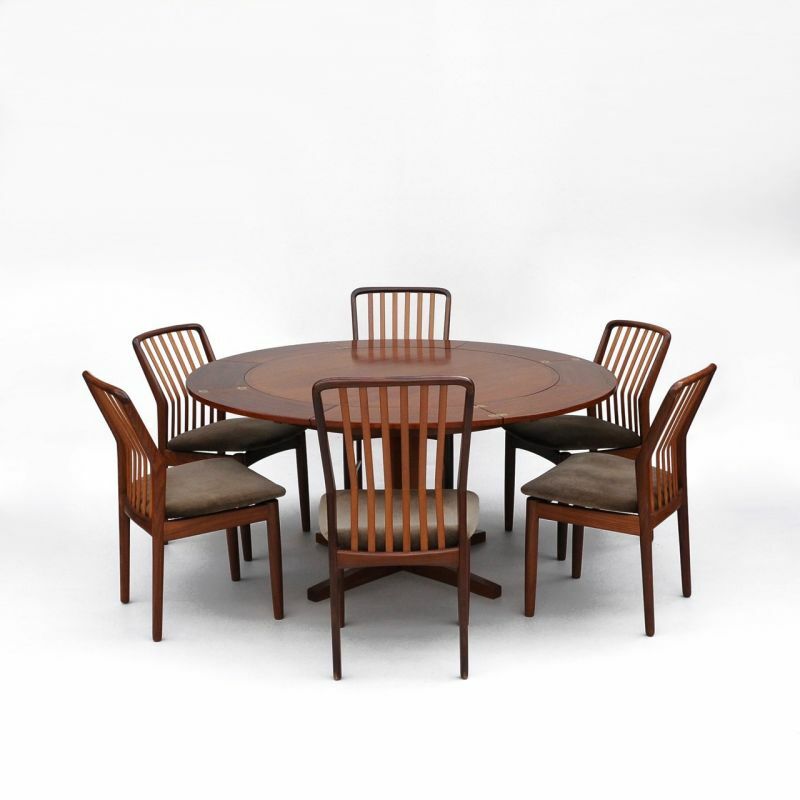 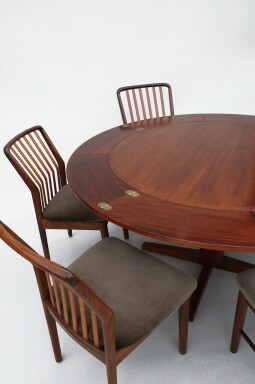 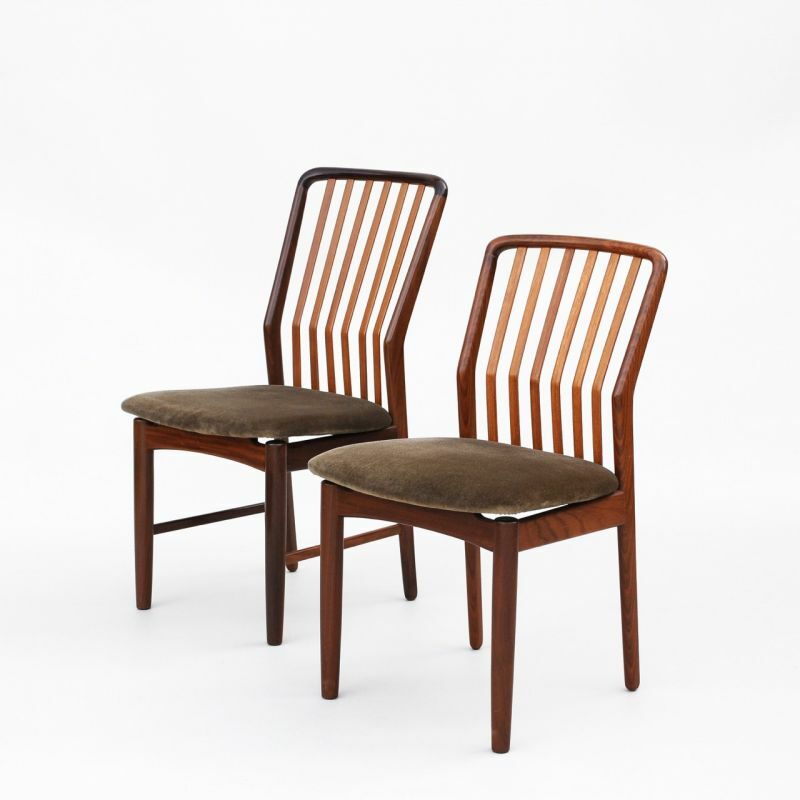 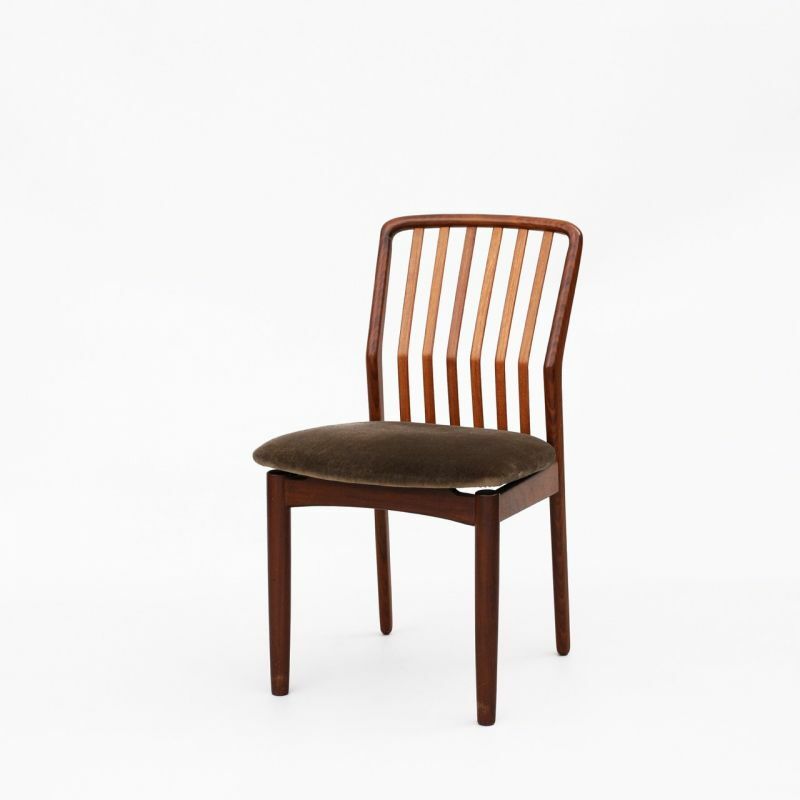 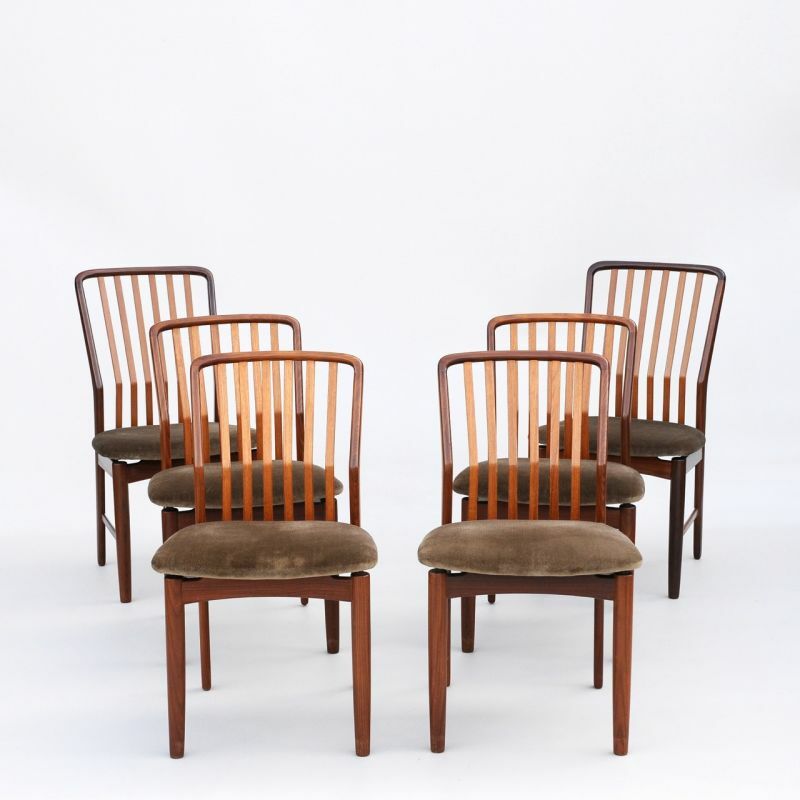 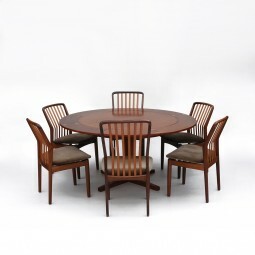 This is a set of six teak dining chairs by the Danish designer, Svend Aage Madsen. 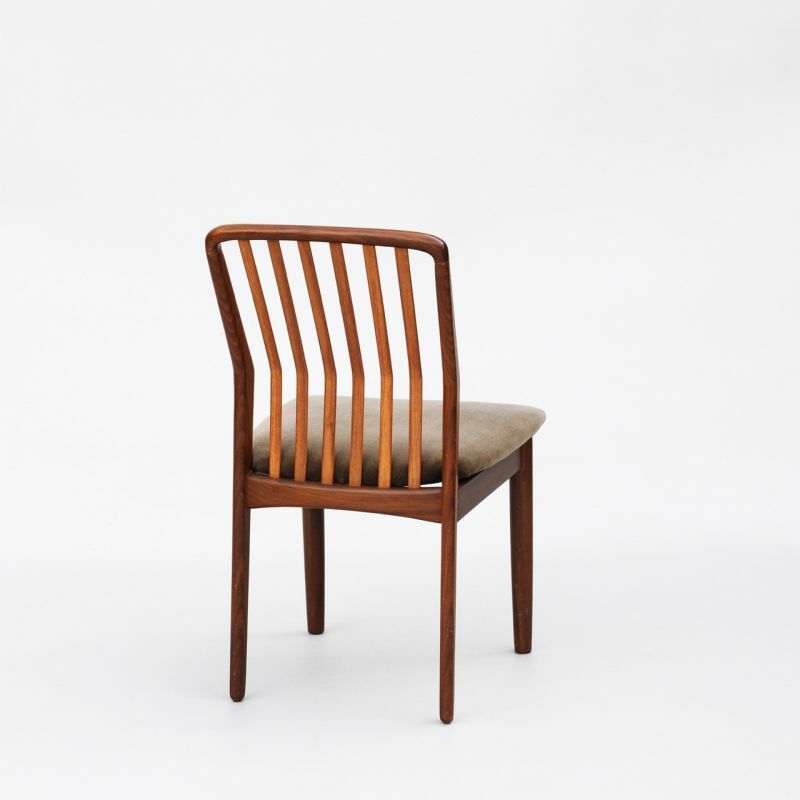 They are incredibly elegant, with their slender lines, and amazingly comfortable, because the shape and angle of the back means the splats fit into your lumber. 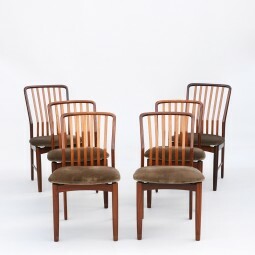 The set is comprised of four chairs and a pair of higher backed versions. 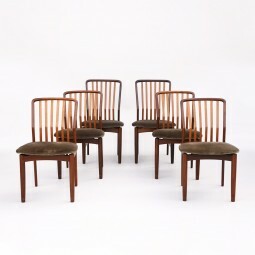 The six chairs are the earlier editions designed by Madsen, the later models had the addition of stretchers which in my opinion, were less elegant. 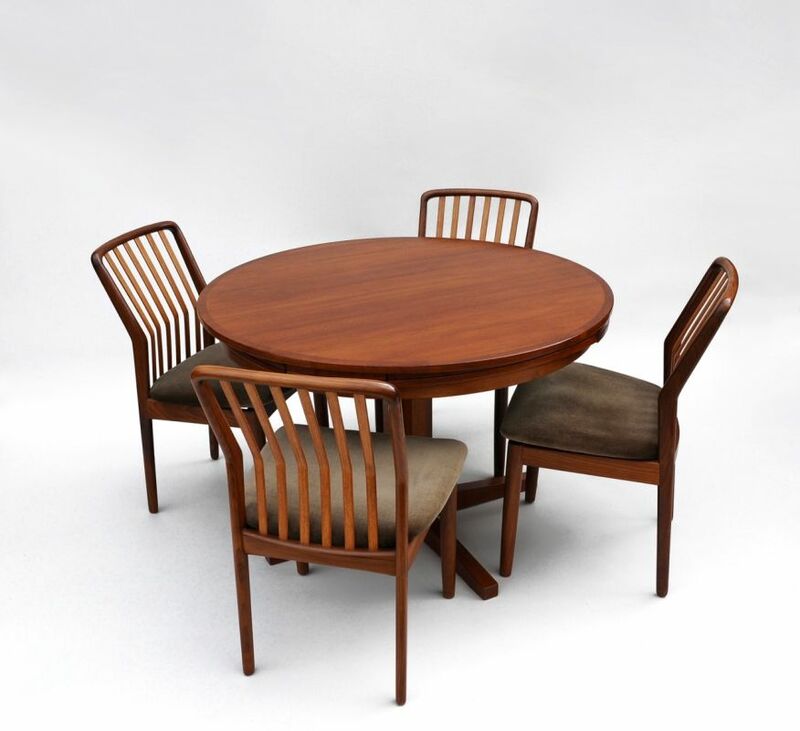 They were made in Denmark, and were bought at Harrod’s in London in the 1960s along with the Dyrlund extending dining table shown in the last three photos. 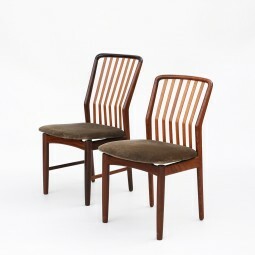 They have been very well looked after, but there is an old repair to a cross rail on one of the chairs. 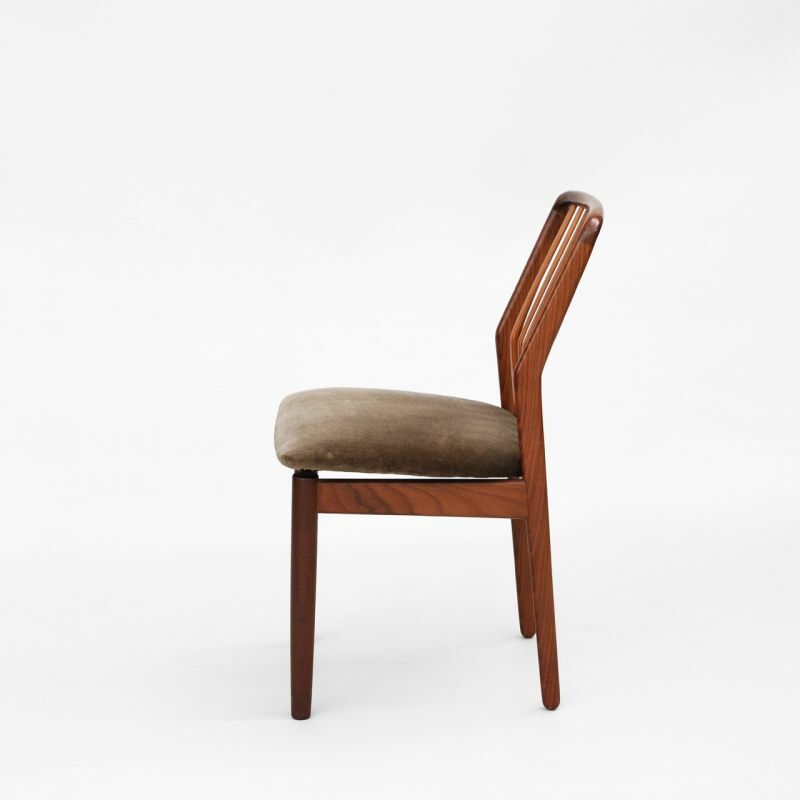 Even the seat coverings are original and in perfect condition. 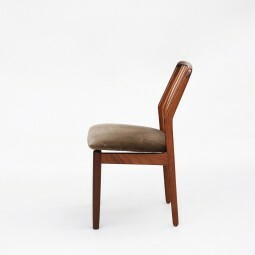 It is however the easiest of jobs to replace if wished (leather would be an interesting choice). 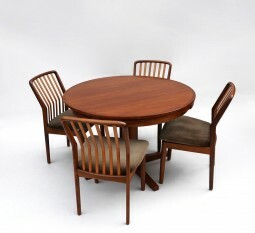 The Dyrlund table is available on a separate page. 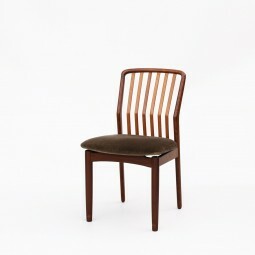 The measurements are 49 cm wide, 56 cm deep and 82 (91) cm high, and the seat is 46 cm high.